Parliamentary Standing Committee on Personnel, Public Grievances, Law and Justice has highlighted certain key changes in its 74th Report on the Tribunals, Appellate Tribunals and Other Authorities (Conditions of Service) Bill, 2014. The Bill intends to provide uniform service conditions with regard to retirement age, tenure of appointment, reappointment, housing allowance, travelling allowance, sumptuary allowance, Leave Travel Concession, leave, conveyance and telephone facility, etc. for Chairpersons and Members of twenty-six Tribunals/Commissions/statutory bodies enumerated in First Schedule of the Bill. The Committee has suggested uniformity of service conditions in all tribunals and the classification of tribunals to be based on intelligible differentia. For this purpose, the tribunals headed by a Supreme Court Judge and where appeal against the order of the Tribunal lies to the Supreme Court may form a category distinct from the Tribunal/Commission whose order is appealable to the concerned High Court. The former Tribunals may form the category-I Tribunals while the latter may form category-II Tribunals. In its written submission, the Press Council of India has maintained that in view of its composition, function and mandate it should not be placed at par with other autonomous regulatory bodies in the Bill. The Debt recovery Tribunal on the other hand had urged the Committee to allow the application of the Bill to them. Following such submissions, a revision of the Schedule is suggested, along with exclusion of regulatory bodies. With respect to the retirement age, the Bill proposed to set it according to the source of appointments. A Chairperson or a Member of a Tribunal or Commission would have to retire at age of 70 years if he is a retired judge of Supreme Court or 67 years if he is a retired judge of High Court or 65 years if he qualifies to be a judge of High Court (those who come from the Bar) and those who are domain experts. It hence suggests that the Chairman and Members of the Tribunals shall hold office as such for a term of 5 years and shall be eligible for reappointment for another term subject to the conditions that they would cease to hold the office of the Chairman or Members as the case may be on attaining the age of retirement. Further, a longer term of 7 years may be provided so that knowledge expertise gained by the Members may be gainfully utilized. The retirement age of Chairperson and Members of all Tribunals/Commissions should be 70 years. The Committee has suggested omission of provision related to reappointment. It has suggested the system of regular appointments instead of tenure appointments, after suitably addressing the issue of career progression of such directly recruited Chairperson/Members. The Committee feels that the expertise and experience of the Chairperson and Members of Tribunal/Commission can be utilized in the concerned High Court as appeal against the order of Tribunal invariably goes to High Court except for a few exceptions. Leave sanctioning authority has been suggested to be divested from the President, in order to maintain the independence of the Tribunals. It further suggests inclusion of grounds of removal in the Bill. According to the Report, the Government should contemplate to impose fee for regulating appeals as well as generating revenue to meet expenditure required for infrastructure, supporting staff, etc. The Chairman of Rajya Sabha had referred the Bill to the Department-related Parliamentary Standing Committee on Personnel, Public Grievances, Law and Justice on the 24th February, 2014, for examination and report to Parliament within two months i.e. by the 24th April, 2014. 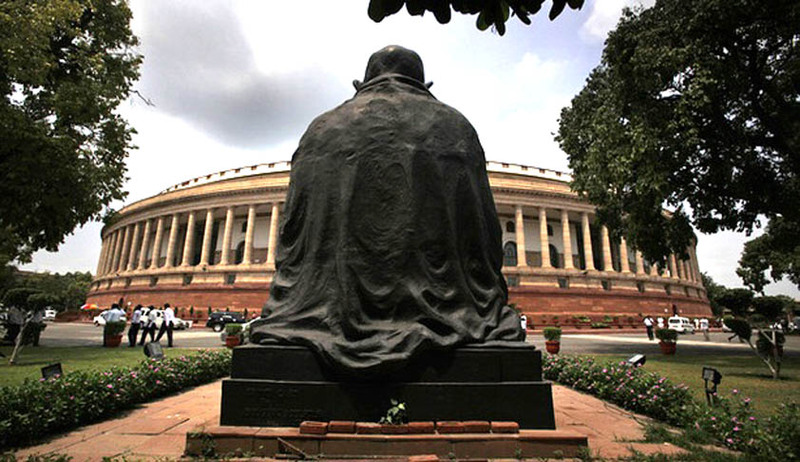 The Committee, however, in view of busy schedule of Members during the General Elections to the Sixteenth Lok Sabha, could not complete consideration of the Bill during its term. The Committee was reconstituted w.e.f. the 1st September, 2014. After its reconstitution, extension of time for presentation of its report was granted till the 27th February, 2015. The Bill is suggested to be made applicable only to Members and Chairpersons who join after coming in force of the provisions of the Bill. Existing incumbent to the office of the Chairpersons and Members of various Tribunals may be given an option either to be regulated by the provisions of the Bill or the extant provisions as applicable to them.